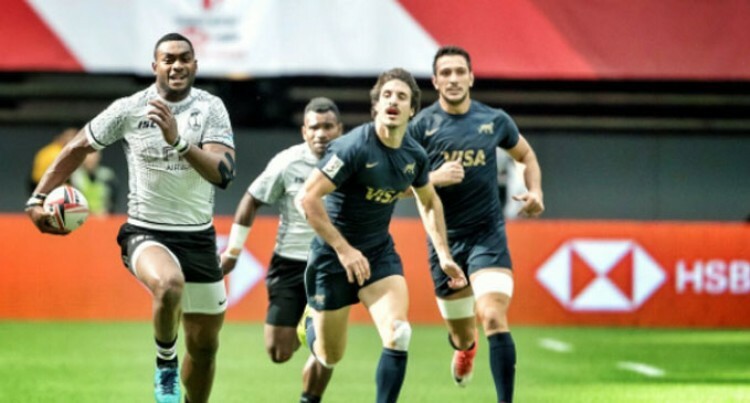 Fiji Airways Fijian 7s team captain Seremaia Tuwai was speechless after winning the Canada 7s. Last night, the nippy halfback was under observation because of a shoulder injury. Fiji went on to beat Kenya 31 – 12 to win the Canada leg of the HSBC World Sevens Series. The win puts Fiji at second place to South Africa in the World Series Standing. South Africa lead by 109. Fiji has so far raked in 101 points.